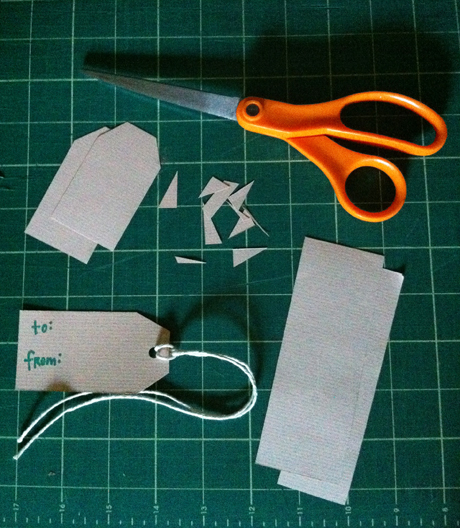 Spruce up holiday gifts this season with simple, sweet gift tags made from scraps of paper. Make this beveled shape by docking the corners and hole punching or trace around a canning jar and make circular tags. Use kitchen or other twine or spring for a roll of pretty striped gift twine, fold string in half and feed it through the hole. Feed the ends of your twine through that loop and voila, gift wrap with some handmade flair!